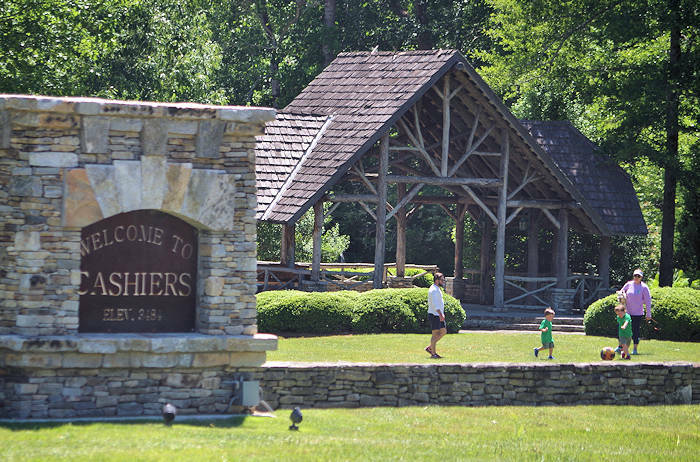 Cashiers is a popular vacation destination in Jackson County and the Blue Ridge Mountains of North Carolina, located just 10 miles from Highlands and about 63 miles from Asheville, along scenic Highway 64. Sitting at a high elevation of about 3,500 ft. in the middle of the Nantahala National Forest, this cool, lush area has plenty of beautiful spots for outdoor activities. Surrounded by mountain peaks of more than 5,000 ft., Cashiers averages 75 inches of precipitation, so the area is filled with rivers and waterfalls. The center of the community is the intersection of NC Highway 107 and US Highway 64. Explore numerous apparel boutiques, antique shops, home furnishing studios and outstanding restaurants. Many are hidden a little off the highway, so park and walk. The year-round population is 2,000. During peak season (May-October), the population increases to 25,000+. You'll find plenty of things to do, including golf, tennis, fly-fishing, hiking, cycling and more. Local accommodations range from vacation home rentals to resorts like the High Hampton Inn. The Cashiers area boasts a casually-sophisticated lifestyle with impressive art and music scene. Winter averages just a dozen or so snowy days, so it's a great time to enjoy extra tranquility or hit the slopes at Sapphire. 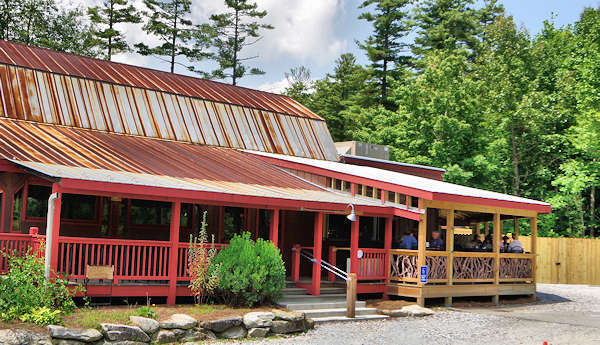 A fantastic new hangout that arrived in 2018 is Whiteside Brewing Co (128 NC-107, Cashiers) with Bavarian-style beers with six year-round taps and a seventh rotating hearty ale. In addition to their craft beers, the menu includes great burgers and paninis with plenty of outdoor seating. It's part of the Jackson County Ale Trail with other breweries in Sylva and Dillsboro. Stroll through the Village Green, a 12-acre park with outdoor sculpture by renowned artists, walking paths, boardwalks over wetlands and beautiful gardens. For plenty of local advice, stop by the Visitors Center at the Cashiers Chamber of Commerce, 202 US Hwy 64 West near the center of town. Find two interesting historic stops. 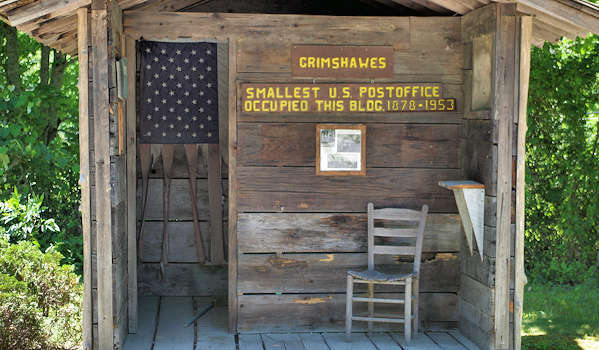 See the smallest post office in the USA in Grimshawes, about 5.5 miles south of town. On the way, stop at the 1852 Zachary-Tolbert House (1940 Highway 107 South) that survived for 150 years without electricity, indoor plumbing or central heat. Tour the inside of the historic home on summer Friday and Saturdays. Read more about both stops. The best hike near Cashiers is iconic Whiteside Mountain, a relatively easy 2-mile hike along a rock face with fabulous views. See our Whiteside Mountain Guide. Twice a year, watch the Shadow of the Bear appear across the valley behind Whiteside Mountain from an overlook along US 64 (read more). A more challenging 10-mile round-trip hike takes you to the top of Yellow Mountain. There are many hikes in the Nantahala National Forest. One of the gems there is Panthertown Valley, called the "Yosemite of the East." Don't miss Schoolhouse Falls there. See our Panthertown Valley Guide. There are many waterfalls to find in the area, including the must-see Silver Run Falls (above) and High Falls at Lake Glenville. See our Cashiers and Highlands Waterfall Guide. 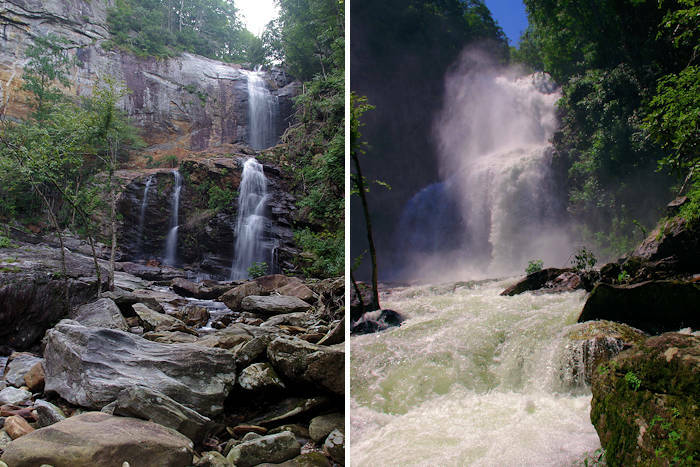 Also nearby are Whitewater Falls and Rainbow Falls in Gorges State Park. Lake Glenville is just a few miles north of Cashiers along NC Highway 107. 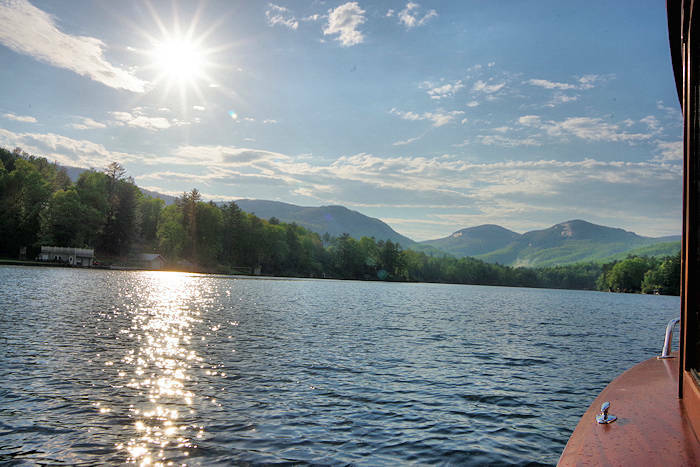 With 26 miles of shoreline, Lake Glenville is the lake with the highest elevation east of the Mississippi (3,500 ft.). It's a great place for fishing and boating. Find a beach across from the High Falls trailhead. 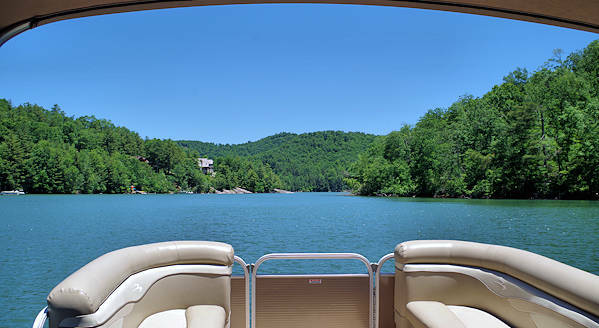 Rent a pontoon boat at Signal Ridge Marina to explore the lake and see several waterfalls. Read more. Fishing: Two officially National Wild and Scenic Rivers, the Horsepasture and Chattooga on the Fly Fishing Trail. See our Fishing Guide for more. Golf: There are many private golf courses in the Cashiers area. For a great public course, check out High Hampton Inn. I-26 to exit 40/Highway 280/Airport exit to Brevard. Then follow US Highway 64 to Cashiers. Very scenic drive, but many curves between Brevard and Cashiers. Allow two hours to drive. 63 miles. Alternate Route: Take I-40 West to route 23/74 W towards Waynesville. Take 23/74W to 23/441 towards Dillsboro, Sylva and Franklin. At Franklin stay on the by-pass and take U.S. Highway 64 East through Highlands to Cashiers. 95 miles. Sylva is 27 miles north via the scenic NC Highway 107 drive. See more of our Coolest NC Mountain Small Towns. So many things to do - art, train excursions, heritage sites and more! Includes the towns of Cashiers, Cherokee, Dillsboro, Sylva, Balsam, Cullowhee, Glenville and Sapphire. Choose from historic B&Bs, mountaintop log cabins, Airbnb rentals, lakeside resorts and camping in the great outdoors in the Sylva, Dillsboro and Cashiers areas. Find a mountain getaway for any budget. 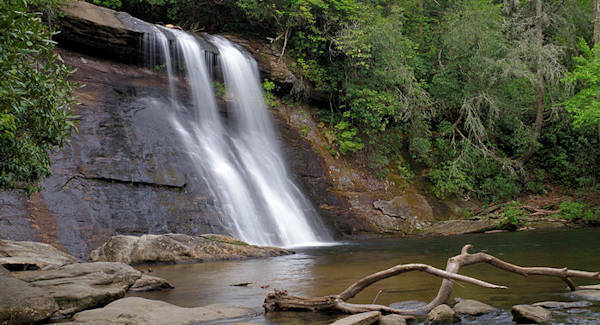 Order a free 73-page visitors guide for the Sylva, Dillsboro, Lake Glenville, Cherokee and Cashiers areas, including info on fly fishing, hikes and waterfalls in Jackson County, NC. 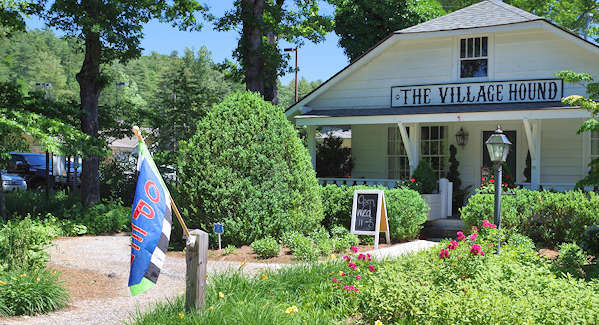 See works from 90 of the finest artisans from the Southeast on the Village Green in Cashiers, 10 AM-5 PM. Find ironwork, woodcraft, textiles, cakes, jams, pottery and more. Free admission, but donations accepted. See works from 15 invitational potters in Cashiers; includes a big pottery sale, demonstrations and more on the Village Green, gazebo and park. 10 AM-5 PM. Free admission. See works of 90 fine artisans from the Southeast on the Village Green in Cashiers, 10 AM-5 PM. Find ironwork, woodcraft, textiles, cakes, jams, pottery and more. Free admission, but donations accepted. 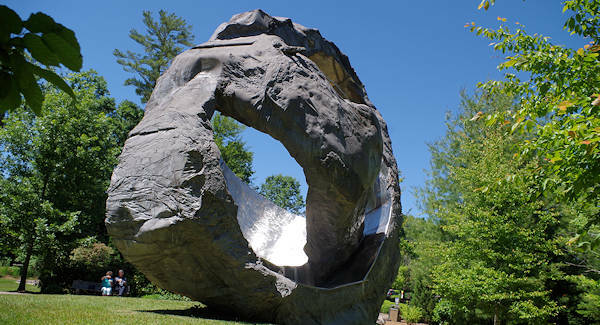 Held on the Village Green in the middle of Cashiers at peak color time, see the works of 100+ artists while enjoying live music and great food. The free festival is open 10 AM-5 PM on Friday, Saturday and Sunday.